Ok guys, as you can see, my ASUS EP121 tablet is running Windows 8 without having to blow away my factory installed Windows 7 partition. I can Dual-boot to Windows 7 and Windows 8, and they are both running on a harddisk with a single partition. How do I manage this you say? I installed Windows 8 with a feature of Win7/Win8 called VHD Boot. VHD-Boot is better than installing in a VMWare/VitualPC environments, especially now because of all the Touch features of Windows 8. If you have a touch-enabled device, you will loose the touch feature if you install in virtual environment. VHD-Boot present you with the advantages of a virtual environment with the quality of bare-metal installation. All the standard drivers of your machine will be installed as if you are installing on the machine itself, only the installation is done in a VHD file, the same used by all virtual PC systems. This give you portability and disaster recovery possibility. I know, disaster recovery is built in Win8, but that is another subject entirely. Another problem a lot of you are having is preparing a USB key to perform the installation. I went through the problem myself, did not succeed in copying the 64bit files to my 4Gb usb key, 54mb too short! So I resulted to preparing a Harddisk install media, yes you heard it, harddisk install media. Most of us have unused harddisks lying around with lots of space than the 4Gb required by Windows 8 to install, why not use those HDD to install? Creating the Install Media: Be warned! These steps are only for people who know what they are doing. I am not responsible if you wipe your active boot partition accidentally! Find an unused HDD drive of at least 5Gb. NOTE:all data on that HDD will be wiped! Connect the HDD to your machine, either internally or via a SATA/IDE to Usb converter. I used a 10year old 2.5 notebook hdd I have lying around with a SATA-to-USB converter. Now boot up your machine to format the hdd. Note that if you are installing a 64bit of Windows 8, you will need to format the hdd on a 64bit machine. Confirm in Windows Explorer that you can see your HDD after booting into Windows. Start command prompt administratively by typing “CMD” in the Start Menu search box. Windows finds the command prompt. Right click on it, and select to start as administrator. Command prompt opens as admin. Diskpart– Diskpart, Windows hdd partitioning software opens. List Disk– Diskpart shows all physical harddisks on your system, including your removable HDD. This is the most dangerous part so be careful. Identify your HDD from its size, if it is the same size as you C: drive for example, you need to identify which one is which. Type List Volume– Diskpart shows all your volumes and their corresponding sizes. This could help you identify which drive is which. The volume number helps to identify too, but not always. Just be careful if your Install media is the same size as your boot drive! If you are not sure, contact me via Twitter for advice. Go back to step B, if you did step C, just to be sure you see your HDD ID. Now that you’ve identified your drive, type Select Disk #with the # corresponding to your drive ID. This command is necessary to ensure all following commands will be performed against the selected hdd. Assign – Diskpart assigns the next available letter to the drive, it is now visible in Windows Explorer with Label given in step H.
Now you are done with preparing the HDD as install media. Mount the Windows 8 ISO with a mounting driver. I prefer to use VirtualCloneDrive from Ellaborate Bytes. Once the ISO is mounted, copy all files from the mounted drive to your prepared HDD. 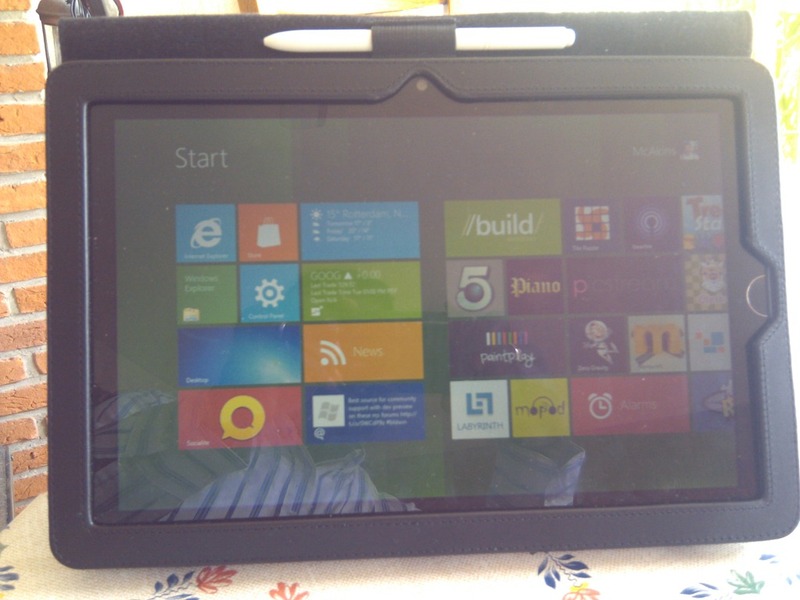 Now you can remove the install media and attach it to the device on which you want to install Windows 8, and boot it. To install with the VHD-Boot feature, I have found an excellent post online here. There is no point repeating the same steps here. Just go to his “Step 2 – Make a Virtual Hard Drive” and proceed from there. In this case, his “USB Key” in his “Step 1” is your HDD Install Media. Please read his cautionary statements. All these seems complex, but it is actually simple once you get the hang of it. Writing it up makes it look weirdly. All the best installing Windows 8 on a VHD-Boot device. If you have any problem contact me via twitter: @McAkins. I will try to help as much as I can. Previous Previous post: Minecraft 1.8 Officially Out! You still liking W8 on your EP121. Thinking about doing the same on my EP121. Just need to pull the trigger and do it. Yes, still liking it to death! It has got everything Win7 got and more. It is faster, way faster that Win7. I haven’t had a reason to use Win7 since I installed. Before I installed in dual-boot, now I have fully formated the SSD and installed Win8 fulltime. It is my main OS right now. Feel free to contact me if you need advice with drivers etc. What especially out for the bluetooth driver. That is the tricky one. At the moment, the rotation is not working, but that is because MS has not activated rotation for the Developer Preview. You may want to contact me directly via @McAkins on Twitter. You may also want to wait a bit longer since you’ve waited till now. The beta is coming out in January anyway. All the best in whichever choice you made. Woah! I’m really digging the template/theme of this website. It’s simple, yet effective. A lot of times it’s hard to get that “perfect balance” between user friendliness and appearance. I must say you have done a awesome job with this. Additionally, the blog loads extremely quick for me on Firefox. Outstanding Blog! I’m going to watch out for brussels. I’ll appreciate if you continue this in future. A lot of people will be benefited from your writing. Cheers! That is very encouraging. Thanks for your kind words. have changed! Keep up the primo work!